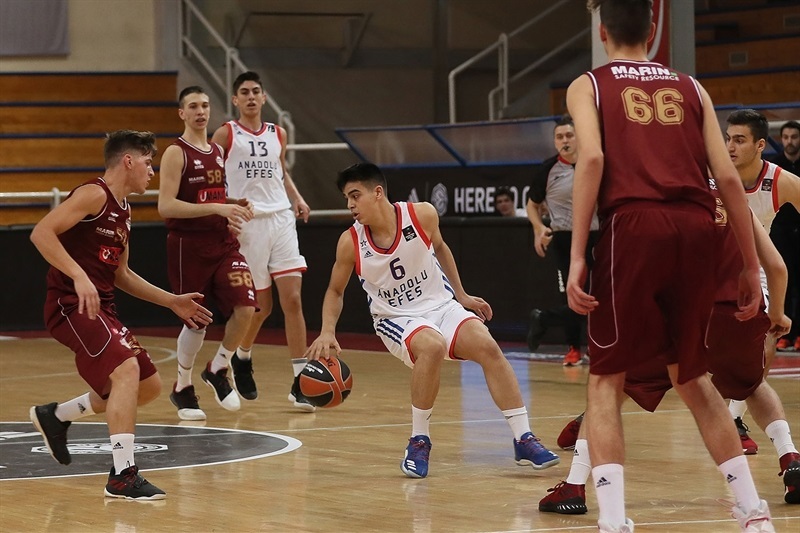 U18 Anadolu Efes Istanbul started its Euroleague Basketball ADIDAS NEXT GENERATION TOURNAMENT Belgrade with a tight 75-70 victory over U18 Umana Reyer Venice in Group A. Mustafa Kurtuldum led the way for Efes with 18 points, 7 rebounds and 5 steals while Mert Camci had 16 points and 12 rebounds. 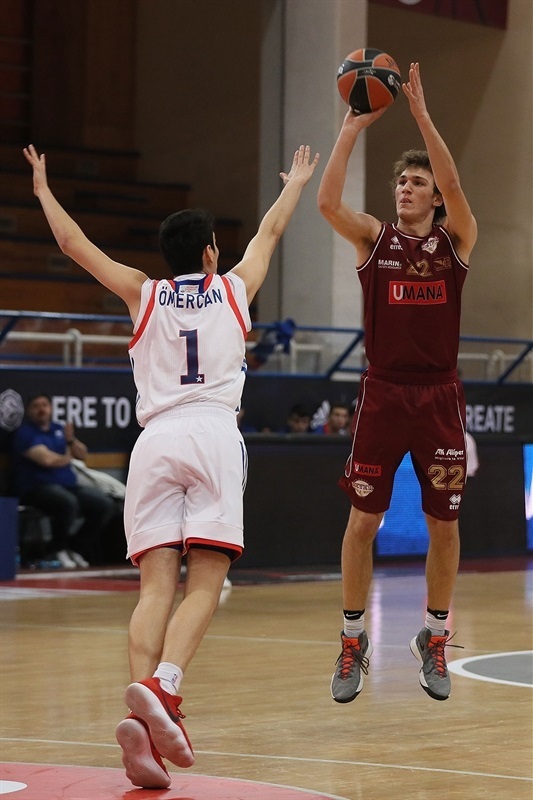 Venice was paced by Federico Miaschi, who had 28 points, 10 rebounds and 3 assists with Leonardo Battistuzzi chipping in 16 points in the loss. Venice jumped ahead early 3-10 thanks to 4 points from Luca Possamai. 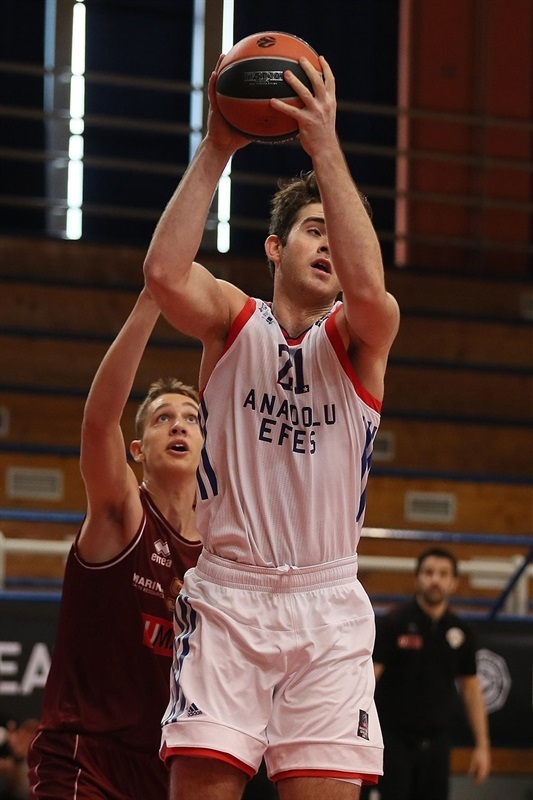 Efes charged back with a 12-2 run as Kurtuldum tallied 7 points for a 15-12 lead. Miaschi picked up 5 points at the other end to keep Venice close, down 22-17 after 10 minutes. Emincan Inan hit a three-pointer to start the second quarter for an 8-point advantage, and it was 32-24 after two scores from Dogukan Uzum. Battistuzzi and Possamai both countered with 4 points for the Italians and Venice was up 36-37 at intermission. 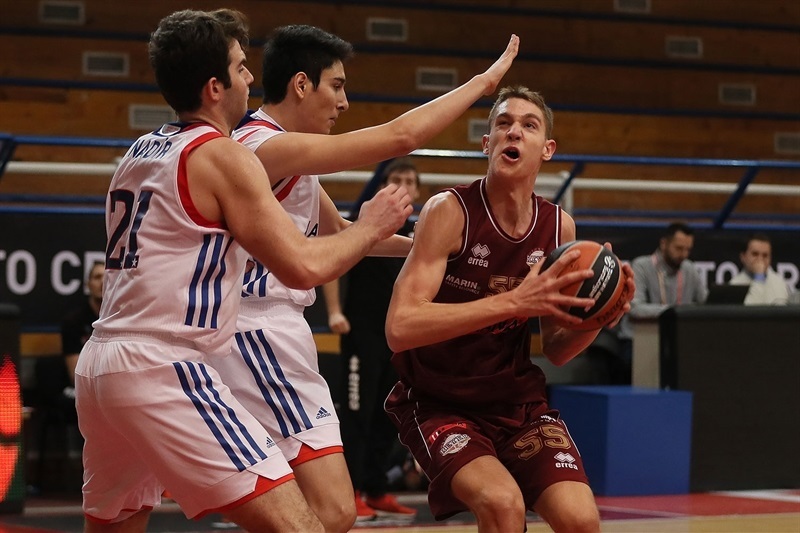 Battistuzzi opened the second half with a score to make it 36-39 but Efes went on a 13-2 run with Camci scoring 6 points for a 49-41 advantage. The cushion was up to 55-44 after two baskets by Omercan Ilyasoglu. But Giulio Candotto came off the Venice bench for 6 points and the gap was 59-54 after three quarters. 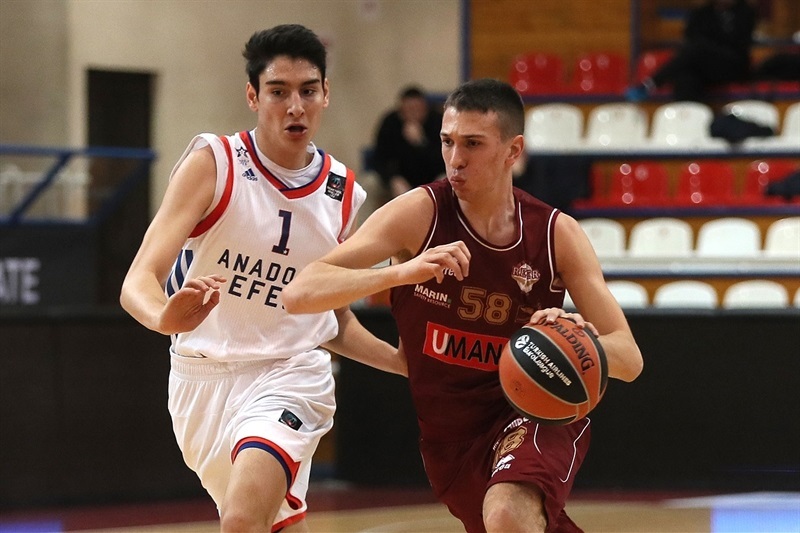 It was down to 61-58 after a Miaschi score but Efes went on a 9-0 surge to go up 71-59. 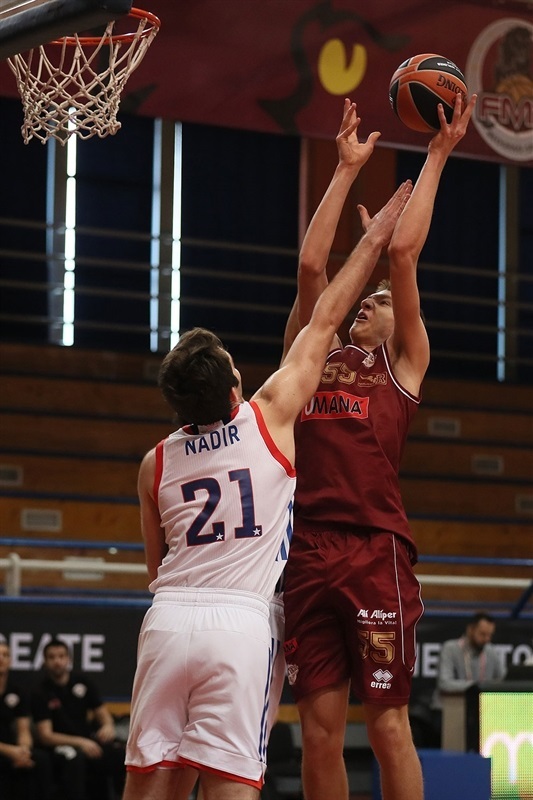 It was still 75-66 with 2 minutes left and Venice tried to get close with scores from Miaschi and Pietro Ugolini. But the Italian side could not score the final minute and Efes grabbed the victory.